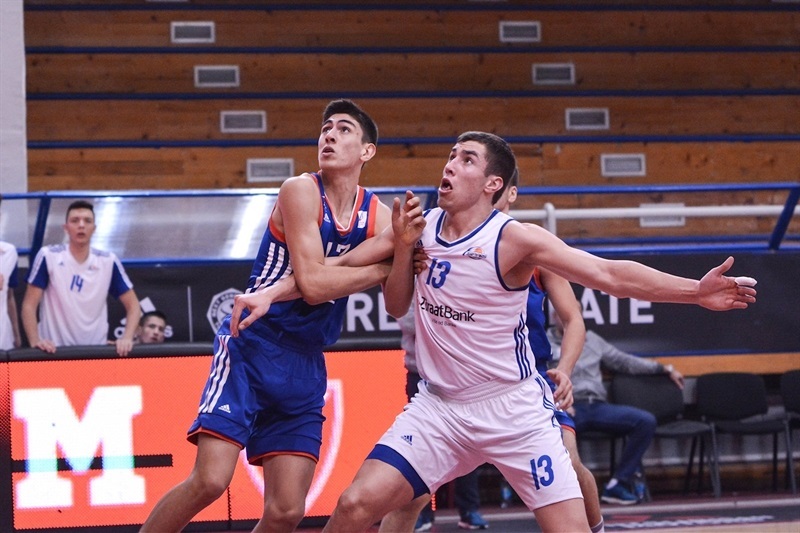 U18 Anadolu Efes Istanbul remained perfect at the Euroleague Basketball ADIDAS NEXT GENERATION TOURNAMENT Belgrade by fending off U18 Spars Ziraat Bank Sarajevo 69-79 in Group A. Mustafa Kurtuldum led Efes in scoring with 41 points as the team improved to 2-0 in the group with Omercan Ilyasoglu chipping in 16 points, 7 rebounds and 10 assists. 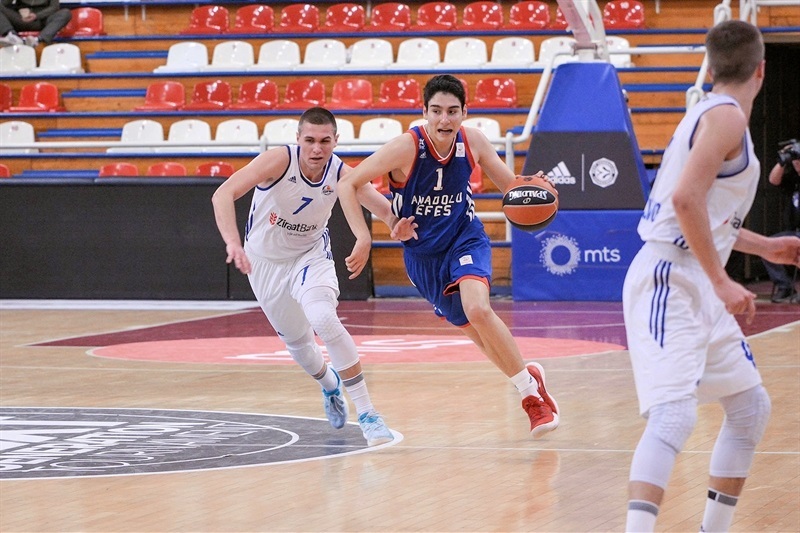 Kurtuldum’s point total is two points off the record held by Dragan Bender from 2014 for U18 Maccabi Teddy Tel Aviv. 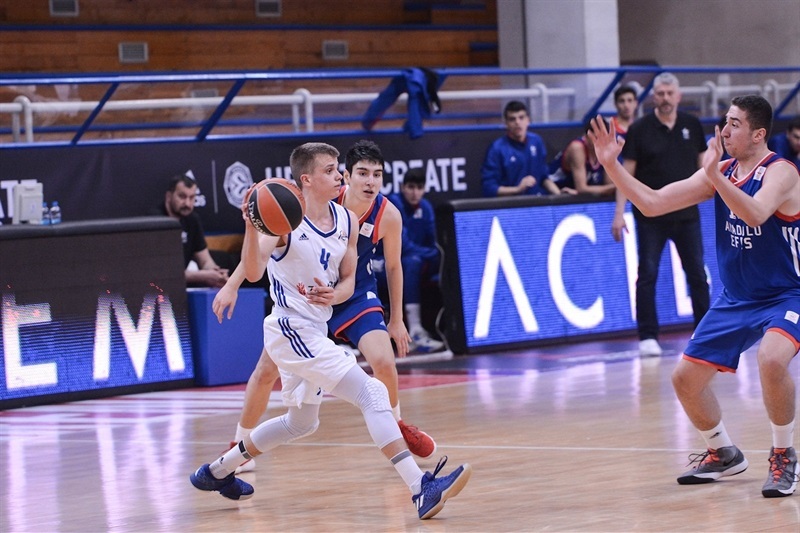 Efes will take on fellow undefeated side U18 Crvena Zvezda mts Belgrade on Saturday for a spot in Sunday’s Belgrade final. Spars dropped to 0-2 in the group despite Tarik Biberovic scoring 24 points and Kenan Kamenjas picking up 15 points, 17 rebounds and 4 assists. Spars had the better start with Biberovic scoring 6 points and Kamenjas picking up 5 points in a 17-8 lead. A Kurtuldum three-ball started an 0-7 answer to get Efes within two points. Biberovic temporarily pushed the gap to 6 points and Spars was up 23-18 after 10 minutes. 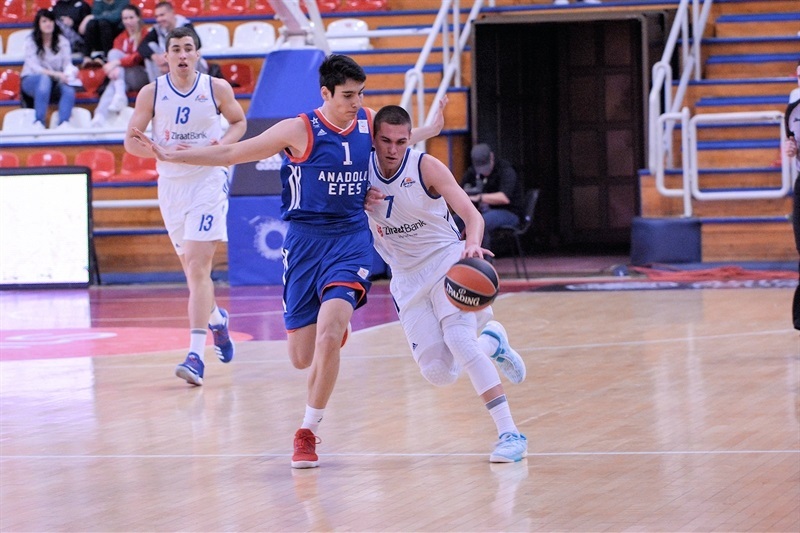 After Vojin Ilic hit a long three-pointer to increase the lead to 28-21, Kurtuldum twice trimmed it to two points. 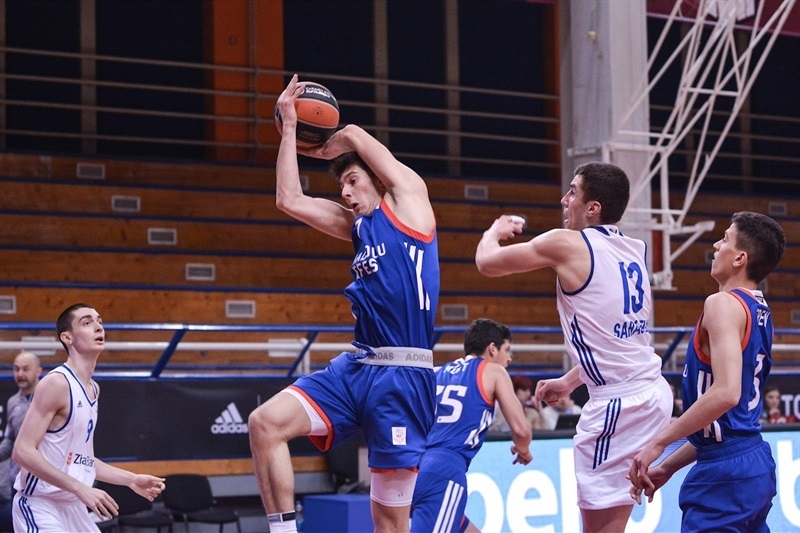 But Spars had an answer every time Efes came close, Kamenjas and Semir Karic both with four points. 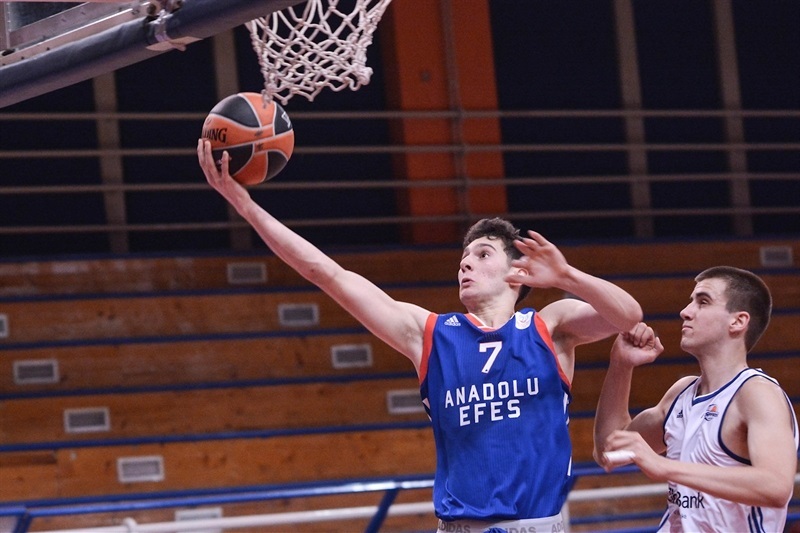 Ilyasoglu picked up 6 points in the closing minutes of the first half and Efes trailed 40-37 at the break. Efes finally tied the game on a Kurtuldum three-pointer and Ilyasoglu’s free throw made it 42-43. But Amar Tiganj responded with a three-pointer and added another long ball in a 13-2 run for a 55-45 lead. But that cushion didn’t last long with Kurtuldum nailing three three-pointers and Ilyasoglu’s lay-in knotted it at 59-59 after three quarters. 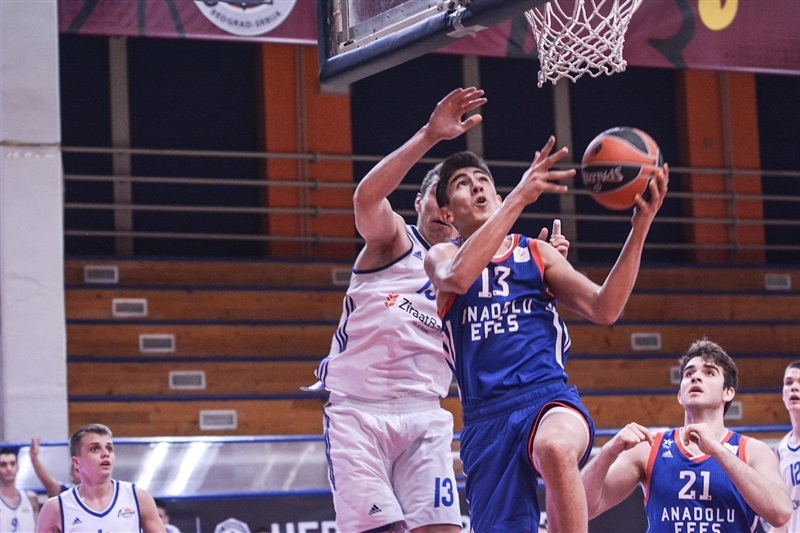 Efes finally grabbed the lead on a score by Kurtuldum and then Ilyasoglu and Kurtuldum knocked down three-pointers as the cushion grew to 65-73 with about 4 minutes to play. An Abdulkadir Gulsen putback made it 67-77 to ice the game.